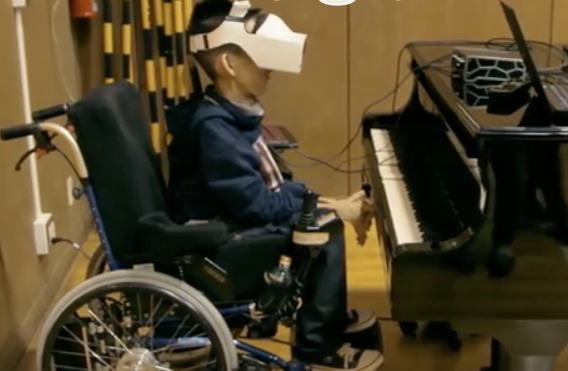 FOVE and University of Tsukuba together have developed Eye Play the Piano. This project allows everyone to play the piano without the use of hands or arms and instead through the use of the eye tracking head mount device. The user can choose between sounds. The SmartWatch is designed to provide peace of mind for families dealing with epilepsy. It detects patterns of abnormal or repetitive shaking caused by certain types of seizures. Within seconds alerts are sent to family or caregivers so they can provide timely interventions. Liftware selection of stabilizing and leveling handles and attachments are designed to help people with hand tremor or limited hand and arm mobility retain dignity, confidence, and independence. 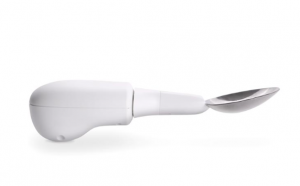 These utensils stay level and steady with hand tremors or limited mobility. Imagine a personal navigation device for a person who is blind. Kapten PLUS GPS can be used to determine location as well as plot routes to local businesses or a specific address. It also features a MP3 player, memo recorder and FM radio. It can be controlled by pressing keys or issuing voice commands. 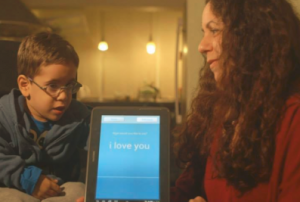 Voiceitt is a wearable assistive communications device that enables people with speech disabilities of any severity to use their own voices with confidence they will be understood. Expected to launch sometime this year, it is sleek, easy to access, intuitive to use, and completely hands free. It will foster independence and social inclusion and dramatically improve life quality.